Tire pressure monitoring systems (TPMS) provide real safety and economic benefits for motorists. By helping drivers to maintain proper tire inflation, TPMS can help improve ride and handling, reduce stopping distances and the potential for hydroplaning, increase MPG and extend tire life. TPMS is designed to monitor the air pressure in a tire and send a warning to the vehicle’s on-board monitoring system when the pressure drops below a preset limit. In addition to the different types of systems and variety of components found in today’s TPMS-equipped vehicles, there are also a wide variety of terms used to describe various TPMS functions and service requirements. This glossary will help you to define and better understand these industry terms. Disclosure: While this TPMS glossary of terms may contain useful reference information for the global TPMS service marketplace, it is specifically intended for the USA, primarily due to legislation references. See “LF low frequency trigger (wake) signal” definition. A TPMS sensor valve stem that pivots to accommodate different wheel rim contours and the valve hole angle of the rim. Typically a TPMS system with a dashboard display that shows each tire’s pressure by wheel location (left front, right front, etc.). Advanced TPMS systems may also display individual tire air temperatures. Sensors that are available as replacements for the vehicle’s original equipment. Includes OE replacement sensors, cloneable sensors, configurable sensors, multi-application sensors and programmable sensors. The most commonly used tire inflation gas. It is the air we breathe, and it’s approximately 78% nitrogen and 21% oxygen. The hole in the TPMS sensor housing where the pressure sensing element is located. This is not the valve stem hole. The dimensional relationship between tire section height and section width. If tire aspect ratio or tire sizing changes from what was found on the OE tires, the recommended inflation pressure may also change. If this occurs, the new recommended inflation pressure should be recorded on the tire placard in the doorjamb and, if possible, updated in the vehicle TPMS system software, to maintain a proper low-pressure warning threshold. Be sure to only use approved tires for your vehicle and verify all safety parameters with any non-OE tires. A vehicle that automatically learns the sensor IDs while the vehicle is being driven, without manual learn mode initiation steps or OBD-II upload by a service technician. Some vehicles require a wait period of up to 20-30 minutes following installation of replacement sensors prior to driving or else the automatic learn will initially fail. Also see “automatic localization,” “localization,” “learn mode” and “vehicle relearn” definitions. A vehicle that automatically learns the sensor locations while being driven, without manual initiation by a service technician. Also see “automatic learn/relearn,” “localization,” “learn mode” and “vehicle relearn” definitions. A valveless TPMS sensor that is attached to a cradle and mounted to the drop center of the wheel’s inner surface by a metal band or strap. Banded sensors are intended to be mounted 180 degrees from the wheel’s valve stem. Typically a TPMS system defined by a single dashboard light designed to indicate both low tire pressure or system malfunction situations. Most TPMS sensor assemblies have a battery lifetime expectancy of between 5 and 10 years, depending on the model generation of the sensor, OE vehicle system specifications, effects of the environment and miles driven, among other factors. TPMS sensor batteries are not replaceable. The edge of the mounted tire, which seats/seals against the inside of the wheel rim. During tire mounting and demounting, it’s important to keep the bead and tire machine mounting head from contacting the sensor. 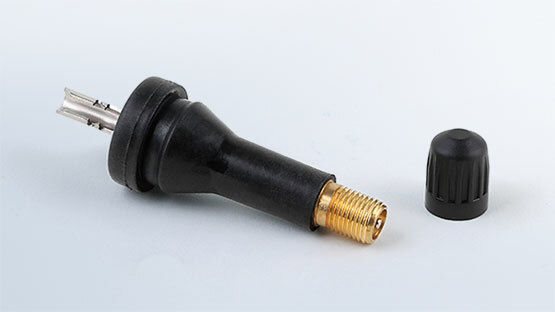 A type of TPMS sensor that is attached to the rim by a threaded metal valve stem. The metal valve stem holding the electronics of the TPMS sensor is clamped on the rim between a nut and the valve stem seal. The process of copying an existing sensor ID number, and in many cases, sensor protocol (as with programmable sensors), to an aftermarket cloneable sensor by using a sensor cloning/programming tool. The copied sensor is intended to appear to the vehicle TPMS receiver as the previously installed/old sensor. The pressure in a tire that has been standing still for three hours or more, or not driven for more than one mile. Also see “placard pressure” definition. Typically an aftermarket sensor that, prior to use, requires protocol selection from a series of available protocols that are programmed on the sensor. A specific LF (low frequency) command from a TPMS scan tool is required for this operation. Degradation of parts due to environmental, chemical and/or dissimilar metals (galvanic corrosion) exposure.Corrosion is known to accelerate from road salt solutions, acidic wheel cleaners, reuse of old parts and part neglect or ignorance of regular part service intervals. It is often most evident between threaded components. The bracket used with a banded sensor to hold it in place on the wheel. Some cradles are locked onto the sensor with the aid of a small plastic connector, and may further contain a self-adhesive layer that helps positioning on the wheel. Although cradles may typically be reused (following part inspection) with a replacement sensor or when changing wheels, the small plastic connector is for one-time use only. Interference or unwanted radio frequency-based communication between sensors, TPMS scan tools, vehicle receivers and/or possibly other RF-emitting electronic devices in the immediate vicinity. Cross talk is predominantly only a concern when the sensor ID numbers are being learned in the vehicle relearn process. The TPMS dashboard display visually indicates a low tire pressure or system malfunction situation to the driver, and if equipped, may also show individual tire pressures or tire air temperatures by location. Using a rapid negative (dump) or positive change in air pressure (typically minimum +/- 2 PSI required) to trigger a TPMS sensor radio frequency (RF) transmission. For some sensor/vehicle combinations, this can be an alternative to using a TPMS scan tool LF trigger or magnet trigger during a vehicle relearn. Be sure to never exceed the maximum pressure on the tire sidewall, that the vehicle weight is supported by a lift so as to not cause tire damage and promptly adjust all tire pressures back to placard pressure following the vehicle relearn. An alphanumeric code, which is set in a vehicle’s on-board computer when a sensor/the receiver detects a condition likely to lead to a component or system failure. A tire pressure monitoring system that uses dedicated electronic pressure sensors mounted directly within the air chamber of the tire/wheel assembly. US Federal Motor Vehicle Safety Standard. A standard developed by the US National Highway Traffic Safety Administration (NHTSA). This TPMS final rule became effective April 8, 2005 (with vehicle phase-in of 20% for Model Year 2006, 70% for Model Year 2007, and 100% for Model Year 2008+). The rule requires new passenger cars, multi-purpose passenger vehicles, trucks and buses with a gross vehicle weight rating (GVWR) of 4,536 kg (10,000 pounds) or less, except those with dual wheels on an axle, to be equipped with a TPMS to alert the driver when one or more of the vehicle’s tires, up to a total of all four tires, is significantly under-inflated. Specifically, the TPMS must warn the driver via low pressure telltale within 20 minutes when the pressure in one or more of the vehicle’s tires is 25 percent or more below the vehicle manufacturer’s recommended cold inflation pressure, or a minimum level of pressure specified in the standard, whichever pressure is higher. The system must also include a malfunction indicator lamp. The standard is technology neutral, allowing either direct or indirect systems, provided they meet the requirements. The contact patch of a tire’s tread that meets the road surface. This is directly impacted by tire inflation pressure. The accelerated structural degradation of parts due to an electrochemical process caused by dissimilar metals coming into contact with each other. Also see “corrosion” definition. The total weight of a vehicle, including passengers, fuel, fluids and any cargo. According to the vehicle manufacturer, the maximum permissible loaded weight of the vehicle. GVWR takes into account the capabilities of the engine, transmission, frame, suspension, brakes, axles and tires. The GVW must not exceed the GVWR. The nut that holds the sensor valve stem on the wheel rim. As TPMS hex nuts are intended for one-time use only, a hex nut is supplied as a part of the service kit for clamp-in sensors. TPMS hex nuts are sized for either 11mm or 12mm sockets. It’s of particular importance with the hex nut to apply proper torque via torque tool to form an airtight seal and to avoid sensor damage. A trigger tool designed to cycle through all known LF low frequency trigger (wake) signals without specific vehicle make/model year input by the technician. The unique identification number for a TPMS sensor. This electronic ID is recognized by and stored in the vehicle’s TPMS receiver. The use of anti-lock brake (ABS) wheel speed sensors to indirectly monitor changes in tire pressure through the spectrum of ABS signals, but predominantly relying on tire diameter evaluation (reduced tire pressure results in a smaller and faster rotating tire). These systems require recalibration via vehicle reset procedure whenever adjusting air pressure in a tire/changing tires. These systems do not have dedicated electronic pressure sensors or the service kit components that a direct systems does. The status of a vehicle’s TPMS receiver when a vehicle relearn is being performed. When learn mode is active, the receiver listens, captures and stores the TPMS sensor ID numbers, and depending on the vehicle, the sensors’ locations. Learn mode initiation may require a series of vehicle dashboard button presses, ignition cycling, brake presses, or use of the key fob, etc. depending on the specific vehicle application. Also see “vehicle relearn” definition. Typically a 125 KHz wave, with modulation (containing data) or without, transmitted by a TPMS scan tool to cause a TPMS sensor RF transmission. The process of identifying to the vehicle receiver the specific location (left front, right front, right rear, left rear, plus possible spare tire – if equipped with a 5th sensor) of each TPMS sensor via the sensor ID number. This normally occurs during the vehicle relearn or designated localization procedure, but it is important to note that not all vehicles show specific sensor location information on the dashboard display.Localization is of particular importance for split placard vehicles, during tire rotations, and following sensor replacement. The dashboard low tire pressure light that illuminates when the air pressure in one or more of the vehicle’s tires drop 25% or more below the placard pressure. This is a solid light, which remains lit until the tires are inflated to placard pressure. Some vehicles also require all tire pressures (up to 5, if the spare is equipped with a sensor) to be fully at placard and/or a vehicle reset to clear the light. The use of an “O” or “U” shaped magnet placed around the valve stem to trigger a TPMS sensor RF transmission. Magnet triggering is used on older generation sensors equipped with a reed switch. For some sensor designs, this is an alternative (or requirement) versus using a TPMS scan tool LF trigger and/or delta pressure trigger during a vehicle relearn. This regulation of the Motor Vehicle Safety Act forbids the intentional disabling of an operational TPMS system, but under some conditions, may allow for avoidance of repairing a previously non-operational system. Be sure to follow local laws/ensure state inspection compliance. And, it is always recommended to fully maintain the TPMS system for the improved tire/vehicle safety and efficiency benefits. More information is available online from the Tire Industry Association (TIA) and the National Highway Traffic Safety Administration (NHTSA). The malfunction indicator light is illuminated on the dashboard when there is a communication failure between a tire pressure sensor(s) and the vehicle’s receiver/on-board computer. This light flashes for 60-90 seconds when the malfunction is identified and again upon subsequent vehicle start ups, followed by a solid light. The cycle continues until the malfunction is corrected. Most vehicles also require a vehicle relearn or reset to clear the light. These are aftermarket sensors that are pre-programmed with a variety of vehicle protocols/software. US National Highway Traffic Safety Administration. An alternative to air as a tire inflation gas. Also see “air” definition. 2nd generation on-board diagnostics (OBD) refers to a vehicle’s self-diagnostic and reporting capability. 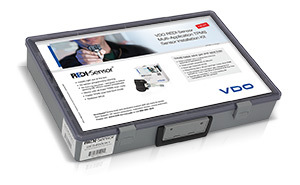 The OBD-II vehicle port can be used with a TPMS scan tool to download existing sensor ID numbers, and when conducting vehicle relearns (specific applications) via uploading sensor IDs and locations. Original equipment sensors that come from the same manufacturer that built the sensors for the vehicle when it was assembled. These sensors are supplied pre-programmed with a single vehicle protocol from the factory. An extensive and rigorous list of specific product performance, safety and durability tests that are required by the vehicle manufacturer. The inflation of a tire above recommended pressure. Negative byproducts of over inflation are rough ride, tire bruise damage, improper wear, potential handling and braking performance losses, increased likelihood of hydroplaning, and suspension system strain, among other issues. The label that indicates vehicle manufacturer’s recommended cold tire inflation pressure. It is required on the driver side doorjamb on all late model vehicles. The proactive replacement of sensor components during tire service. TPMS sensors require replacement of the service kit components at every tire service in order to maximize usable sensor life and ensure tire air sealing. These are aftermarket sensors that arrive blank and need to be uploaded with vehicle protocol software via a sensor programming tool prior to vehicle installation and use. The software communication language used between TPMS sensors and receivers on a vehicle. This language can vary widely between vehicle manufacturers. The radio wave used by a TPMS sensor to transmit tire pressure and possibly temperature and other related information to the vehicle’s receiver/on-board computer. Typical TPMS radio frequencies are 314.9, 315 and 433.92 MHz. Radio frequency transmission may also be received by a TPMS scan tool for diagnostics or vehicle relearn purposes. Pulling stored sensor IDs from the vehicle’s on-board computer via a TPMS scan tool and OBD-II connection or directly between a TPMS scan tool and sensor. The vehicle electronics that receive and process TPMS sensor transmissions and determine if a low tire pressure situation or system malfunction has occurred. The receiver/on-board computer alerts the driver via the dashboard display. An electronic mode utilized by TPMS sensors when the vehicle is in motion (defined by a minimum speed). This is the active mode for regular sensor transmission. Sensor transmission frequency during this mode can vary by manufacturer, but is generally every 60 seconds. A sensor is on average expected to be in rolling mode 5% of the time, with other modes comprising the 95% balance. These tires enable the vehicle to continue to be driven for a limited distance, but at reduced speeds, etc., in the event of a puncture. Due to the possibility that a driver will not recognize a low or flat tire situation, TPMS is required on vehicles with this tire technology. A handheld electronic device designed for TPMS, and used for triggering (waking) sensors, capturing/reading sensor IDs, diagnosing TPMS sensor malfunctions and performing vehicle relearn procedures. Some scan tools are also designed for aftermarket sensor programming, cloning, and/or configuration. The overall features vary depending on tool model and software version. The pliable elastomer O-ring that forms an airtight seal between the sensor valve stem and the vehicle wheel. Provided as a part of the service kit for clamp-in sensors and intended for one-time use only. Hardware components that cannot be disassembled due to corrosion. See “corrosion” definition. This is the electronic unit mounted directly within the air chamber of the tire/wheel assembly. It contains a pressure sensing element, and depending on the application, may also monitor tire air temperature and provide other advanced monitoring features transmitted wirelessly to the vehicle’s receiver. The process of loading vehicle protocol software onto a blank aftermarket sensor by using a sensor programming tool. This process typically also involves cloning another preexisting sensor ID number. See also “cloning” and “programmable sensor” definitions. Information broadcast by a TPMS sensor in the form of radio waves. See “radio frequency (RF)” definition. A hardware component kit comprised of TPMS sensor parts that should be replaced during every tire service as preventive maintenance to maximize the usable life of the sensor. Service kits for clamp-in sensors include: hex nut, valve core, valve cap, grommet/seal and metal washer, but may also include a valve stem and retaining screw, depending on the application. For snap-in sensors, service kits include: a rubber-coated metal valve stem, valve cap, valve core and retaining screw or nut, unless a notched press clip design is used (Continental). An electronic mode utilized by TPMS sensors for sensor battery life conservation during shipment, storage, and extended periods on the vehicle without motion. The length of time during which the TPMS sensor is in sleep mode can vary by use and by manufacturer. A TPMS sensor attached to the wheel rim by a rubber-coated metal valve stem that is pulled into place in the valve hole. From outside the wheel, and without close inspection, such a stem has a very similar appearance to a traditional (non-TPMS) rubber valve stem. Although not legally required to be equipped with a TPMS sensor, some full-size spares contain a TPMS sensor. Smaller ‘donut’ spares typically do not. Labeling required for a vehicle that has different placard pressures for the front and rear axle(s). An electronic mode utilized by TPMS sensors when the vehicle is parked or stopped, typically for 1 minute or more (could be up to 30 minutes in some cases). In stationary monitoring, sensor transmission frequency is greatly reduced to conserve battery life. Sometimes, only in the case of delta pressure will the TPMS sensor transmit. Not all OE sensors offer stationary monitoring. Some switch only between rolling mode and parking mode (excluding factory/manufacturing modes). TPMS is considered a ‘supplemental safety system,’ and is therefore not intended to replace regular tire inflation pressure checks. Temperature directly impacts the air pressure in a tire. For every 10¼ F change in temperature, there is approximately a 1 PSI change in air pressure (higher temperature equates to higher pressure, and vice versa). This makes seasonal tire pressure checks/adjustments of particular importance. Force exerted by air within a tire, oftentimes expressed in PSI (pounds per square inch), KPA (kilo Pascal) or BAR. A tool that can be used to exert a closely regulated amount of force. This is a requirement when working with TPMS sensors, as a specific low torque setting of in-lbs. or N-m is required when fixing threaded components such as hex nuts, valve cores and band worm drive screws (banded sensors). Tire pressure monitoring system. These systems are designed to enhance safety and efficiency by regularly monitoring tire air pressure. There are two types of technology used for TPMS; direct and indirect. See “FMVSS No. 138” definition for the legislative summary. Transportation Recall Enhancement, Accountability and Documentation (TREAD) Act. The TREAD Act was enacted by Congress on November 1, 2000. This is the mandate that set in motion the legal requirement for tire pressure monitoring systems beginning with vehicle model year 2006. Also see “FMVSS No. 138” definition. Sometimes used as an alternative name for a full scan tool, but this term is generally for a more basic version of a TPMS scan tool only built for LF triggering (waking) sensors. The condition of a tire with less than the recommended air pressure. Negative byproducts of under inflation are increased fuel consumption, improper wear, potential handling and braking performance losses and potential heat buildup, as well as tire stress that may result in sudden tire destruction such as a tire blowout. A cap that is threaded onto the end of the valve stem to protect against water and other contamination. Replacement valve caps are part of the service kits for snap-in and clamp-in sensors. Valve caps used with TPMS sensors should always be plastic to avoid corrosion. Most TPMS valve caps also include a rubber O-ring at the base to act as a secondary tire air seal in combination with the valve core seal. The mechanical device that controls the passage of air through the valve stem. Replacement valve cores are part of the service kits for snap-in and clamp-in sensors. Only special nickel-plated valve cores should be used with clamp-in sensors. The tube for inflating or deflating tire air. Valve stems are part of the service kits for snap-in sensors and are sometimes included in the service kit for clamp-in sensors. A type of TPMS sensor that does not have a valve stem and therefore does not mount to the valve hole of the wheel. Typically this refers to a banded sensor, however new sensor technologies also mount directly on the inner liner of the tire. A specific set of steps established by the vehicle manufacturer to learn the direct TPMS system sensor ID numbers and (if enabled from the factory) sensor locations, as well as completely clear any malfunction, low pressure codes, or DTCs, and confirm full system functionality. Vehicle relearn can be categorized into three types based on the factory TPMS system: 1) automatic relearn by driving, 2) stationary TPMS scan tool relearn using manual learn mode initiation steps and 3) stationary OBD-II upload relearn. A process for direct systems established by some vehicle manufacturers to clear any malfunction or low tire pressure codes and potentially learn new sensor locations after a tire rotation (generally a subset of the complete vehicle relearn). Whereas, when completely clearing out the system and learning replacement sensor ID numbers, the more accurate term is typically vehicle relearn, but there are some published exceptions. The vehicle reset term is also used when recalibrating an indirect system after adjusting air pressure in a tire/changing tires. Part of the service kit for predominantly clamp-in sensors. The TPMS washer is intended for use inside and/or outside the wheel, according to specific installation instructions, and as it deforms to the rim contours, is one-time use only. For some automatic localization vehicles, hardwired wheel well triggers are used to trigger sensors to determine sensor ID location. Newer technologies allow automatic localization to be completed with software directly built into the sensors/receiver without the need for wheel well triggers. Uploading captured sensor IDs to the vehicle’s on-board computer via a TPMS scan tool and OBD-II connection. Handle 85% of all TPMS service without waiting for parts! Test your TPMS knowledge for a chance to win a REDI-Sensor baseball cap!